Conceptualised by Eris Property Group, in partnership with PRASA and Intersite Asset Investments, the Umgeni Deco & Lifestyle Park within the Umgeni precinct officially opened earlier this month. The R1.4bn commercial development features tailor-built stores able to house business showrooms, offices and distribution facilities within the site across 135,000m². 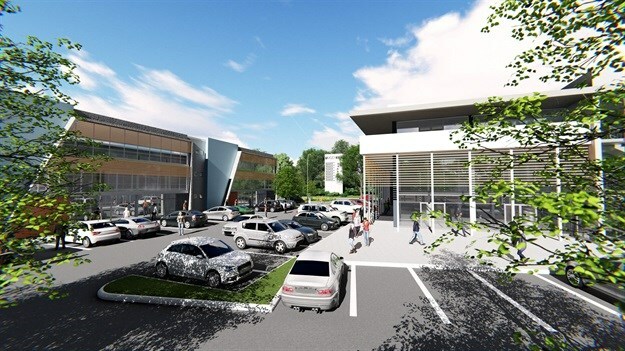 “Having introduced this concept to the public and local businesses six months ago, we can clearly see by the immense interest shared that there is a huge demand for a commercial property offering such as Umgeni Deco & Lifestyle Park. As a result, we have partnered with a number of key retailers and look forward to welcoming them to Umgeni Deco & Lifestyle Park in the near future,” shared Stephen Lawson, developer manager from Eris Property Group. Completion of phase A construction is expected in October this year with the grand opening set for 1 November 2019. “One of the many successes we have experienced on this project is that of job creation. We have been working hand-in-hand with a company called Catalyx, as well as the ward committee, to ensure that everything is with the involvement of the local community and to date we have managed to create 110 construction jobs and, going forward, we will have a number of permanent employment positions starting as the project unfolds,” explained Lance Meyer, executive head of property development at Eris Property Group.